For the convenience of the passport applications, Directorate General Immigration and Passport has launched two services for knowing the status of passport. An individual who applied for Pakistani passport and wants to know about the status of passport processing and application can now use two methods – online and SMS service – to check the status of his passport. Below are the methods for each type of process checking. The first simple process to track the status of your passport is SMS. 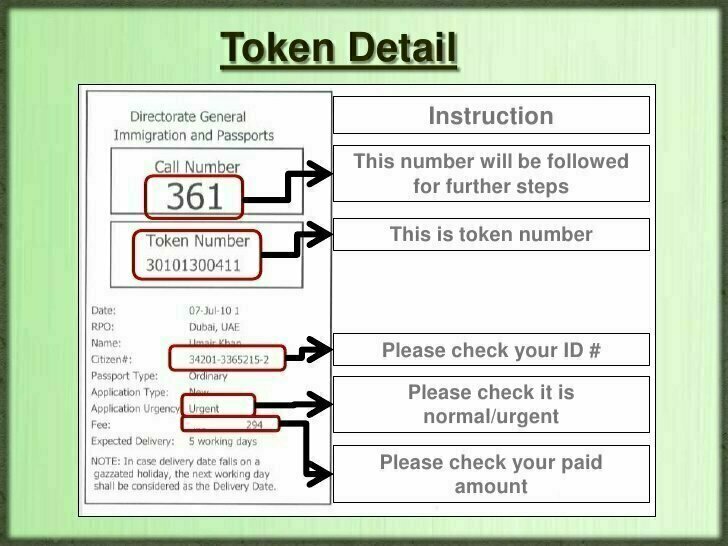 From the write message of your mobile phone, type 11 digits Token Number and send the SMS on 9988 for desired information. The 11 digits Token ID will be printed on the Token Receipt given to you. Once forward, you will get following messages against your SMS. Applicants can also check the online status of their Machine Readable Passport that is processed within last 03 months. For this purpose, they are first required to create an account with online passport tracking service of Directorate General Immigration and Passports. After creating the account you can log in to the online passport tracking service of DGIP to check your passport status. For this, you are required to provide the username and password. This online passport status tracking service is free of cost. The applicants can send their queries regarding the status of their passport at [email protected] by providing the information they are seeking and along with complete name, contact number, CNIC, contact address and 11 digits token number. Imran Abbas and Ayeza Khan’s ‘Tum Kon Piya’ release date, timing, OST, teasers, photos! brother u rcv ur passport?? i applied for renewal passport by online on 12 nov and get approval email on 27 nov.
by box number nd token number can i get info .. which courier my passport is coming??? nd where it is reach now. I am facing same issue. Have you got your passport or still waiting? Could you please guide me? i also applied online passport renewal and i receive email at 28th NOV 2018 that your application is accepted but after that i didn’t receive anything from them even i email them too many time but i didn’t get any response. Please let me know that how i can track my passport that in which process exactly now. I has applied for MRP on 05-09-2016 token id 20401003243 but no response till now. And i submitted my wrong cnic in nadra for DUP Clearance and which has now been cleared. Visit your local Passport office with Token and ID card. This is not official site of Passport office.